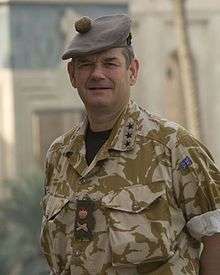 An officer of three-star rank is a very senior commander in many of the armed services holding a rank described by the NATO code of OF-8. 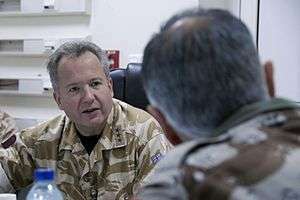 The term is also used by some armed forces which are not NATO members. Typically, three-star officers hold the rank of vice admiral, lieutenant general, or in the case of those air forces with a separate rank structure, air marshal. 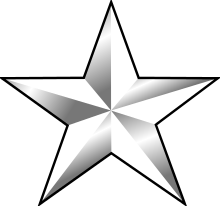 Official rank insignia for Australian 'three-star' officers do not use stars in the same fashion as the United States. The RAN does incorporate stars into the hardboard rank insignia for flag-rank officers but this is in conjunction with other devices. Unofficial star rank insignia are sometimes worn when serving with or visiting other military organisations in order to facilitate equivalent rank recognition. The Chiefs of all three services within the Australian Defence Force hold three-star rank as well as three joint positions: Vice Chief of Defence Force (VCDF), Chief of Joint Operations (CJOPS) and Chief Capability Development Group (CCDG). The three-star rank in Brazil is the second rank in a general career. The officers in this position are normally divisional commanders. Three maple leaves appear with St. Edward's crown and crossed sabre and baton. Prince Charles holds the rank of vice-admiral in an honorary capacity. Before unification, the rank of air marshal was the three-star equivalent for the RCAF. Not to be confused with the Generalleutnant and Vizeadmiral (two-star ranks; OF-7) of the Wehrmacht until 1945 or the National People´s Army (East Germany) until 1990. An Indian Navy Vice Admiral in a car having three-stars. A vice admiral typically commands a numbered fleet which is responsible for all naval ships within its area of responsibility. 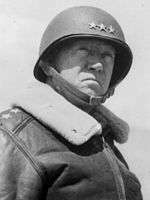 An Army or Marine Corps lieutenant general typically commands a corps-sized unit (20,000 to 45,000 soldiers), while an Air Force lieutenant general commands a large Numbered Air Force consisting of several wings. Additionally, lieutenant generals and vice admirals of all services serve as high-level staff officers at various major command headquarters and the Pentagon, often as the heads of their departments. In the Russian and Soviet armies, the three-star rank is colonel-general (Russian: генерал-полковник) and full admiral (Russian: адмирал). This is a title that emerged during the early Soviet period. Most Warsaw Pact and Soviet-aligned countries adopted this rank. The rank is often held by commanders of the ground forces, chiefs of military academies and commanders of military districts. Colonel general is considered a stepping stone to the rank of general of the army, itself essential to achieving the high rank of marshal of the Russian Federation. This title also applies to three star officers of the air force, MVD, police and militia, internal troops, FSB/KGB, border guards and some others. In the navy, the three star rank is admiral (Russian: адмирал). ↑ This rank insignia is not worn in all NATO armed forces. 1 2 3 Selections from Regional Press. Institute of Regional Studies. October 2007. p. 75. ↑ Mangai Natarajan (2008). Women Police in a Changing Society: Back Door to Equality. Ashgate. p. 49. ISBN 978-0-7546-4932-8.